The actor who played Sammy “Zammo” McGuire in Grange Hill in the 1980s is to return to our screens as a new character in EastEnders. Child star Lee MacDonald, who’s now 50, rose to fame more than 30 years ago as the loveable Zammo, a character who later ran into drug problems. He’ll play a bus driver, who takes on Mick Carter – played by Danny Dyer – in a radio competition to win gig tickets. MacDonald, who after subsequent small roles in The Bill and Birds of a Feather, quit acting to run a south London locksmith and key-cutting firm, said: “I am absolutely chuffed to bits and so excited to be briefly joining the cast of EastEnders. In 1986, MacDonald was involved in one of the most memorable scenes in children’s TV history. 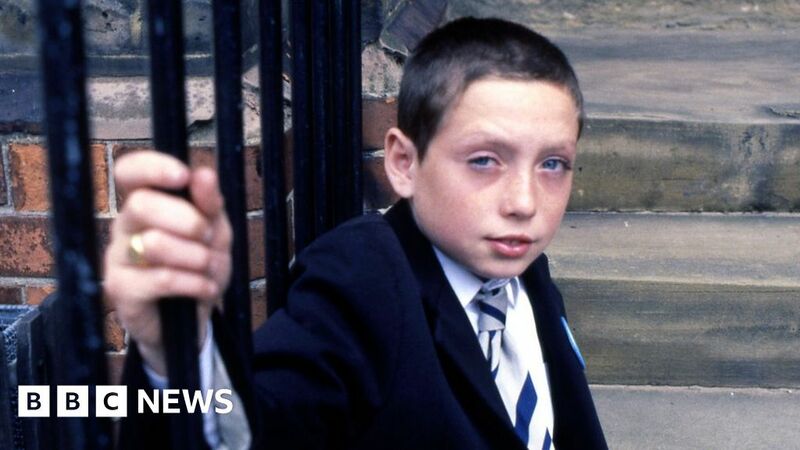 This was after Zammo, who had previously overdosed on heroin in the back room of the amusement arcade where his friend Roland worked, came back to school – apparently clean – but was caught by friends trying to hide drugs in a toilet cistern. After years out of the spotlight, MacDonald appeared on the BBC’s Celebrity Scissorhands and in a child stars edition of Pointless Celebrities. Reacting to the news of his return, TV critic Emma Bullimore tells the BBC that while the name Zammo may mean nothing to younger viewers, the inclusion of an “absolute ’80s icon” in another of the nation’s best-loved shows will be of great interest and excitement to older ones. “I think it’s difficult if you weren’t around at that time to think now about how big a kids TV programme could be,” says Bullimore. “Now we live in an age of Netflix and all these different channels and so many choices, but when you had only a few channels, ratings for shows used to be so much bigger and the most popular character within a huge show was an real icon and someone that people really cared about and got excited about seeing on TV. The fictional path from Northam to Walford has been a fairly well-trodden one for actors down the years, but Bullimore believes the length of time between MacDonald’s two big roles adds greater significance. “Grange Hill and Byker Grove were both massive at the time and spawned loads of people that went on to be in big shows,” she adds. “So loads of people we were familiar with as kids then became part of shows we watched as adults. “It was kind of like Grange Hill was a training ground for EastEnders in a way, but it’s a slightly different case with Zammo as there’s been a big gap. As Zammo prepares to go on the buses, let’s take a quick look back at a few of the other Grange Hill kids who went on to became regulars in the Queen Vic. Young Tully played Grange Hill schoolgirl Suzanne Ross for three years in the early ’80s, before leaving the show to go to college (or so she thought). Her character became pregnant at the age of 16 after having an affair with “Dirty” Den Watts. Tully returned to Walford in the director’s chair for 12 episodes in the late ’90s but she repeatedly turned down offers to reprise her role as Michelle, which was eventually recast with Jenna Russell in 2016. He was one of the few characters to get his own spin-off show in the form of Tucker’s Luck, which followed him from his unruly school days to the dole queue. In 1990, Carty took over the role of Susan Tully’s on-screen brother Mark Fowler in EastEnders. His casting followed the death of the original actor, David Scarboro. Actor turned R&B singer Gayle first came to public attention in Grange Hill as Fiona Wilson, who was one half of the school’s rap duo Fresh ‘n’ Fly. A few years later, she took on the role of Hattie Tavernier in ‘Enders. Hattie worked as Ian Beale’s personal assistant in the show, and also suffered a miscarriage after her fiancé Steve abandoned her. Clearly not over Fresh ‘n’ Fly, Gayle quit the soap in 1993 to pursue a full-time career in music, where she went on to score seven UK top 40 singles. Her highest-placed tune, pop pickers, was 1994’s Sweetness – which peaked at number four. He played “Tegs” Ratcliffe in Grange Hill from 1988 to 1992. He left the show (and the team) to take on the starring role in another BBC drama series, Dangerfield, in 1994. ← Yes, This Floating Home is Ready for Charter or Purchase!